If you read the attached screenshot Facebook explains this In-Line action. Thanks for the help! It's recommended to track this event on page load. 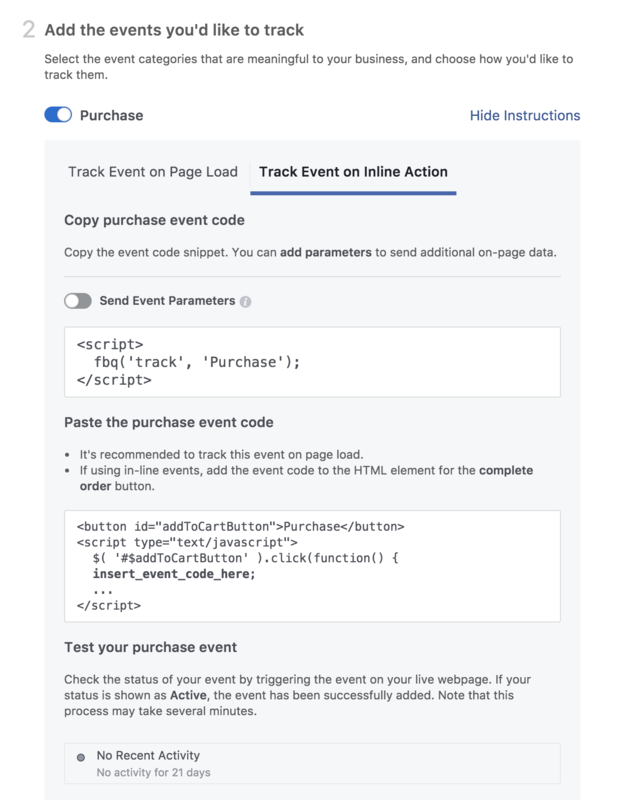 If using in-line events, add the event code to the HTML element for the complete order button. This is most likely that the Facebook tracking code will not work in combination with the form embed/iframe code due to the same origin policy. However, we also offer a source code embedding option, so you may try it with the Facebook code.